Kiwi Klassifieds: What's New Zealand for 911? So while I was recently contemplating an extended trip to New Zealand, I decided to take a look through their classifieds (as one does). After losing many hours of my day it was plain to me that the Kiwis have such a crazy car culture that their “used car” section makes ours look like we’re merely selling toasters (minimal fire damage, still runs well, only leaks oil when you make Pop Tarts). 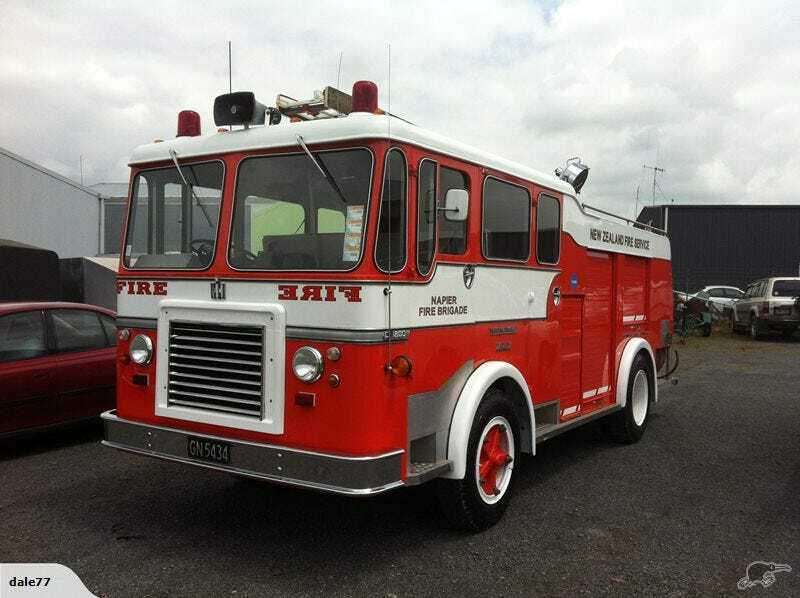 The first thing that I just HAD to have was this fire truck. The seller claims they spent around 15 grand restoring this beast, but that’s chump change when you’re talking about realizing dreams or attending “charity events”. I know what you’re thinking, and YES the siren works, as does the air horn and flood lights. It’s basically a noise ordinance violation waiting to happen. It even comes with its own resident spider.